Good price, good work, pleasant people to work with. Had the old window out, and the new one in, and the place cleaned up in a jiffy. My husband couldn’t believe how much nicer our new window is. They put drop cloths on my floors to protect my carpet. It is pleasant to hear workers laughing and not using bad language. It says something about the boss. We will recommend them to everyone we know. After we had an entire new heating and air conditioning unit installed from Greiner’s we decided to install new windows throughout the entire house. I had 3 companies come out and give me quotes. Brad was the only one who came out the same day and got back to me the next day! He came highly recommended from my neighbor as well.After our consultation and receiving the pricing for a few different windows, we decided to go with the Milgard windows. Brad ordered them and then installed them exactly when he said he would! The whole job took 2 days. His whole team was very professional and they cleaned everything up very nicely. The only thing that was incorrect was how they put back on my security sensors..but that was an easy fix!Brad is a very honest guy and he does what he says he will do. I would recommend him for all your window needs!!! We had several estimates….Brad was the only person to own his workmanship, walked us through the window selection process and listen to us negotiate with each other on the type of windows we wanted to buy! As a newly married couple it was one of our first big decisions…:-)Brad also showed up to work with the crew to do the installation! We were shocked!Would definitely refer him to anyone needed to renovate windows and doors? Brad and his crew replaced 14 windows in my home and I was so pleased. They showed up punctually, put in long days and cleaned up each day. Through the process, dry rot was discovered, and Brad replaced the wood, took care of the problem, and still stayed within the 2 day timeline. I found him to be professional, thorough, knowledgeable and great to work with. His prices were very reasonable, I could always reach him on the phone and I would hire him again for other jobs. Really pleased with his workmanship. I highly recommend FitzPerfectWindow. 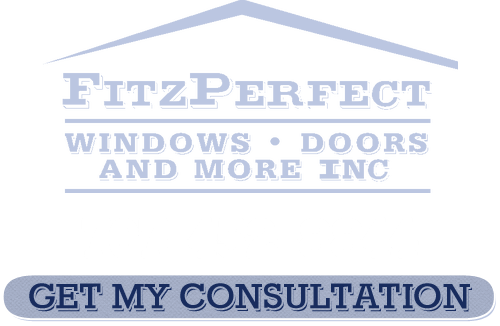 After getting a really high estimate from one glass company and no estimate from another, FitzPerfect got the job to replace my living room window. The glass came in much earlier than expected, and it was installed on a Saturday! And who installed it? Brad – the guy who answered the phone each time I called and the guy who did the estimate! In all the home repairs and improvements that I’ve done over the years, I’ve never dealt with the same person each step of the way!When I’m ready to replace the rest of the windows in the house, I know who I’m gonna call! I wish that i had another arm so that I could give Brad and his company three thumbs up! I had thirteen rather large windows and two patio doors installed by him and his helper about a month ago. The customer service was phenomenal and painless from beginning to end. The jobsite was always clean and organized, which was important since I have two small children. Observing from a distance I could tell that no corners were ever cut during the installation. I’ve compared the finish work between a few of my friend’s houses and the difference is night and day. I have two other houses with existing double payne windows and am now considering having them re-done them once I get the money. Did I mention the prices were very reasonable? Brad is a dependable, honest guy and definitely the best in the business. Brad is the kind of guy you would feel good about referring your mom, sister, anyone you really care about to. Three thumbs up. 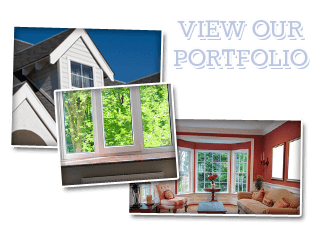 If you are looking for a Replacement Windows and Doors Company in Vacaville then please call 707-452-8844 or complete our online request form.